Massive undersea freshwater reserves may be able to quench humanity’s thirst. More than 70 percent of the Earth, also known as the Blue Planet, is covered with the life-enabling chemical compound that we call water. The ultimate irony for humankind is that only 2.5 percent of this abundant resource is drinkable freshwater. An ever-expanding human population is rapidly depleting this most basic necessity. Scientists warn that access to clean drinking water for more 4.5 billion people could become critically impaired within two generations if issues like pollution, over-consumption, and climate change are not addressed. We might not be able to drink directly from the oceans (though desalination plants are on the rise internationally), but the answer to Earth’s looming freshwater crisis may be hidden under them. A team of Australian researchers, led by hydrogeologist Vincent Post, have discovered enormous freshwater reserves beneath the seabed. They estimate that a half-a-million cubic kilometers of low-salinity groundwater is trapped off the coasts of Australia, China, North America, and South Africa. “The volume of this water resource is a hundred times greater than the amount we’ve extracted from the Earth’s sub-surface in the past century since 1900. 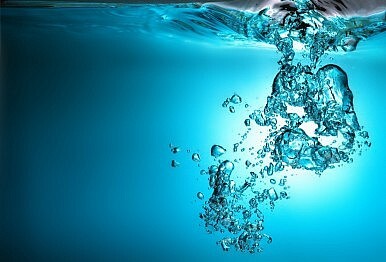 Knowing about these reserves is great news because this volume of water could sustain some regions for decades,” said Post, whose findings were published in the journal Nature last week. The potentially life-saving aquifers were formed hundreds of thousands of years ago, when the sea level was much lower than it is today. Rain would seep into the ground and fill water tables near the coast. As the polar ice caps began to melt, those coastal areas became covered by the ocean’s rise. Researchers said that the water could be accessed by building platforms and drilling into the seabed, in a similar fashion to offshore oil rigs. Additionally, drilling could be done from the mainland, which could actually be closer to the aquifers. Unfortunately, the huge water reserves cannot be pumped straight into a drinking bottle. “Although the water is relatively fresh compared to seawater, none of it is drinkable,” Ward Sanford, a United States Geological Survey hydrologist, told Al Jazeera. It would require desalination before hitting the tap – a process that has been criticized for its inefficiency and high cost. While desalinating ocean water can cost up to $2 per cubic meter, the same amount of water from an aquifer can be treated for only 20 cents. According to the World Water Council, 1.1 billion people live without clean drinking water. In developed countries like the U.S. and Japan, residents use approximately 350 liters of water per person in a single day. People in sub-Saharan Africa, who are most at-risk as global water supplies dry up, rely on less than 20. Cambodia’s capital was once home to 2 flourishing lakeside communities. Commercial land development changed everything.